Transat has announced that Denise Heffron, Vice-President, National Sales and Commercial, will retire from Transat on March 2 after almost 25 years of service. Denise joined the Transat team in 1993, a few years following Transat’s entry into English Canada. 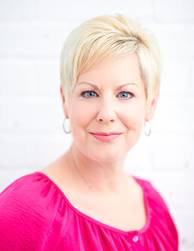 Throughout her tenure, she has held a number of senior positions in the areas of sales and marketing, and customer care, and was responsible for operations and development in Ontario, Atlantic Canada and Western Canada. Most recently, Denise has focused on the sales side of the operation, servicing and developing retail accounts and leading the award-winning sales and groups teams. “When reflecting on my career at Transat, my time has been wonderful and I will forever be grateful for the incredible opportunities and adventures,” Ms. Heffron said.